It's coming up to the two year anniversary of mine and the boyfriend's move to NZ (wowzer, time DOES indeed fly). I find it amusing that even after two years I still can't get used to certain things here in NZ. So I thought I'd make a little list of them! 1. Tomato sauce tastes horrible! Yes this is quite a biggie and the first thing that came to mind! 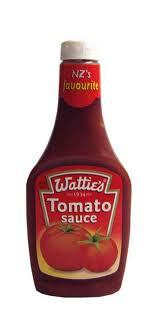 The Watties brand (which is the NZ version of Heinz) is just...well...rank according to my tastebuds. I'm not saying it's rank to Kiwis, but as a British person, it tastes far too sweet. This also goes for Watties baked beans and spaghetti. You CAN buy official Heinz sauce here (and I do!) - hurrah! 2. 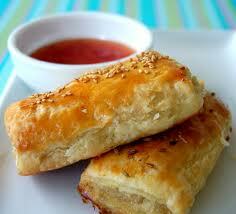 A Kiwi sausage roll is nothing like a British sausage roll. I'm vegetarian, so this one doesn't affect me. But the boyfriend LOVES the huge, giant, massive, humungous sausage rolls they do here. How will he ever go back to measly British ones?! 3. The weather - amazingly popular topic. I don't find this that strange as I come from Wales. But thought I would comment on it nonetheless! 5. Supermarket stuff isn't very veggie friendly. :( I have to read labels ALLL the time. In the UK most items have a BIG GREEN V smack-bang on the front. Here, not so. I can't find a veggie suitable YOGHURT, PESTO, CREME FRAICHE etc. so have had to remove these from my diet. Boo. As the saying goes "you can't beat Wellington on a great day"! 6. On the other hand, there are soooooo many cafes here in Wellington! Spoiled for choice! And they all seem to make their own fresh salads, slices, paninis, scones and CAKES. YUM! No deep-fried or microwaved shibizzle here! 7. Takeaways (where I live anyway!) don't deliver! I remember one Sunday night before our car joined the family the boyfriend rang countless takeaways in search of a delivery - to no avail! (Pizzas aren't a problem, I'm referring to Chinese and Indian mainly). 8. 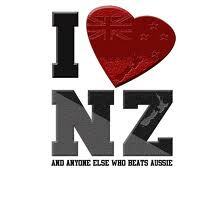 Kiwis love crafting and DIY! Hurrah! I love it too! This is one of my favourite things about this country, the Kiwi can-do attitude. I have a friend who makes her own tomato ketchup. My sister nearly fell off her chair when I told her. This isn't heard of in Wales, and I love that about NZ! 9. They don't serve vinegar with chips! Shocker!! EFTPOS is the way to go here in NZ! 11. Kiwis are remarkably well travelled and knowledgeable about the world. I am continually impressed by this. Each time someone asks where I'm from, or even says sometimes "which part of WALES are you from"? 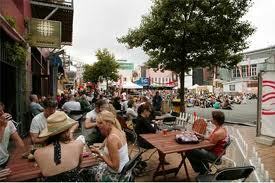 I always get "oh yes, it's nice there, I spent the summer in Swansea once" or "My mum's from South Wales" etc. Compared with the time I spent living in the Canary Islands as part of a European exchange, and people from Italy and France didn't even know where Wales was - COME ON! 12. A 'blowdry' is called a 'blow wave'. Cute. 13. Sandals are jandals. And sweets are lollies. Oh and crisps are 'chups'. Funny. 14. When a fruit or vegetable is out of season, it's out of stock. We hunted for aparagus for a recipe once and couldn't find it anywhere, until someone explained this to us. I guess the UK imports SO much, I'd never had to consider this before! 15. Most people seem to get paid fortnightly in NZ. This is sweeet. No waiting around for payday all month! So these are a few of the quirks I've noticed about NZ. They're not complaints, just things I've found funny / weird / different when trying to settle into life upside down. Let me know if you have any of your own!